The infectivity of the H9N2 virus to MDCK cells was time-dependently inhibited by Cu2+ at concentrations of 2.5–250 μM. In 25 μM Cu2+ solution, the virus titer decreased by approximately 3 and 4 log within 3 and 6 h, respectively. Compared to Cu2+, Zn2+ was much less effective in virus inactivation. The H9N2 virus hemagglutinin activity was not affected by 2.5–250 μM Cu2+. The H9N2 virus neuraminidase (NA) activity was drastically reduced by 25 mM Cu2+, marginally reduced by 250 μM Cu2+, and not affected by 25 μM Cu2+. Thus, we found that copper ions suppress the infectivity of influenza virus at lower concentrations at which neither NA nor hemagglutination inhibition occurs. Electron microscopic analysis revealed morphological abnormalities of the Cu2+-treated H9N2 virus. 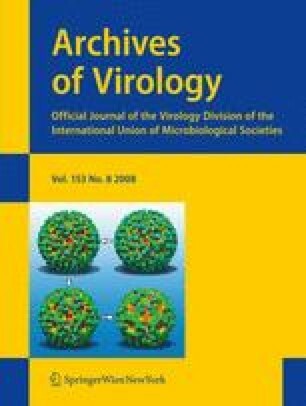 Additional studies should be undertaken to clarify the mechanism underlying the antiviral effect of copper ions on influenza virus. This work was partially supported by grants from the Program of Founding Research Centers for Emerging and Reemerging Infectious Diseases, and by grant-in aid for Exploratory Research (19659115), MEXT Japan.